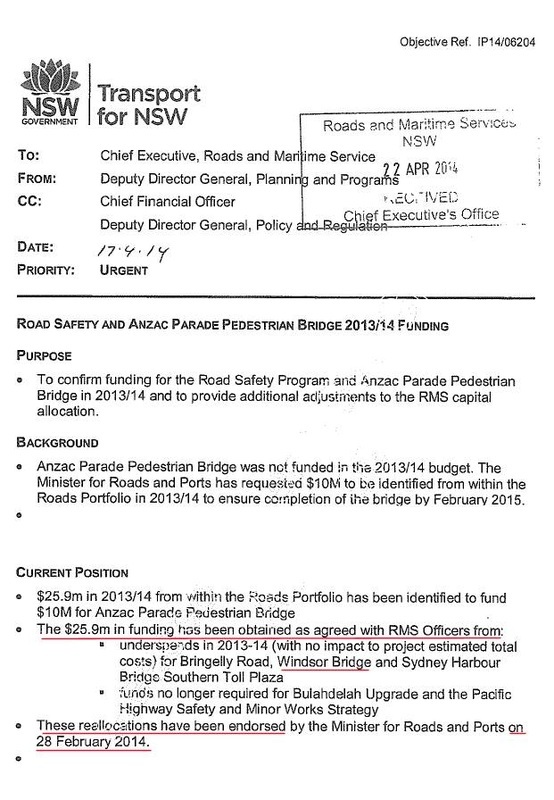 Government documents released under Freedom of Information have revealed money allocated to Windsor Bridge has been diverted to build the controversial Anzac Parade cycleway. 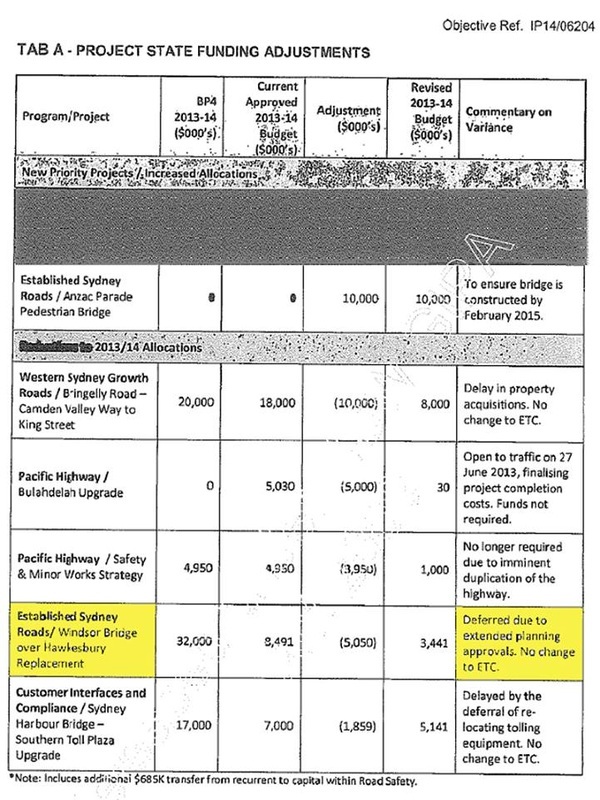 The documents also reveal the Windsor Bridge project as been "deferred due to extended planning approvals." The funding reallocation occurred in February of this year. However this hasn't stopped the Government blaming CAWB's Court appeal for the delay, even though the appeal was lodge in March, one month after they moved the money! The truth is not in them. The truth is the delay is their fault!